I do believe that the creative process is crucial in any marketing venture. Even though consumers are bombarded with advertising on so many levels today, ingenuity is still possible in both ideation and visual presentation. There are many companies in Atlanta, Georgia who can build your website, design your logo, or write you a nice, little article - and you would probably be content with that. However, you must know that your long-term success depends on so much more than an a la carte' approach can provide. You have started a new business. You need a sign, right away. Now you need to print business cards, so you just go with the artwork from your sign guy. You had already started a facebook page months ago, so friends and family are already tired of your shameless self promotion and lack of content. You want to sell on-line, so you've got to have website design and development with e-commerce solutions, which brings a 3rd or 4th party into the mix. How will people find my website? Hopefully, by this point you realize that your brand identity is already scattered all over the market landscape. Now, imagine that you had an experienced marketing professional to consult with and help put all these things into place sometime before the exact moment you need them. Envision that you combined all the knowledge that you possess about your industry with all the knowledge that the consultant has about marketing. You want and need more than the status quo that your competition has. If this is all making sense so far, ask yourself the following question. 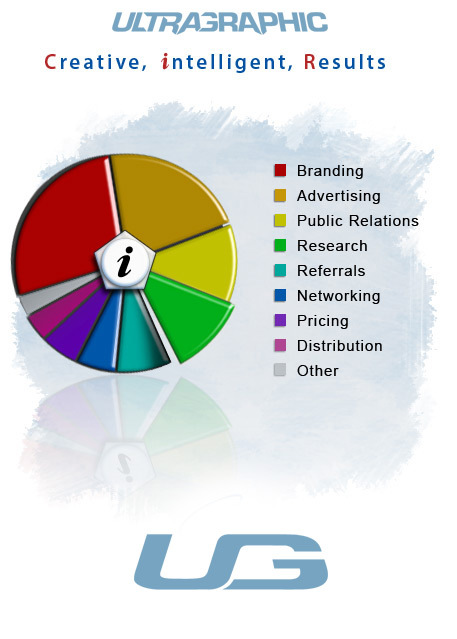 How does your brand measure up, in terms of visual presentation, informative content, and exposure? Put your logo, website, or social networks side by side with your top competitors and compare. Does your presentation appear out of date or of lower quality? Even though your company may have a much better product or service, this is what would-be buyers see first. First impressions seem cliche but are still crucial. How many times has an inferior company won in the marketplace only because their visual presentation was better? Lets say your product does, already look stunning, but do consumers know why your product is the one to buy? Does your content effectively communicate where your product came from, what it is and why it is better? So many businesses neglect this part of marketing their brand, especially within their website. Content is one of the things that separates the amateurs from the professionals. No one knows your story like you do and having qualified copywriting can do wonders for your words. Now you look great with compelling content so your all done, right? Not quite. Finally, how do you get all this in front of the right consumers? Those new threads and clever wit will get you no where unless you are seen by the right people. I know, as a business owner, just thinking about all this, along with your other day-to-day operations, can sometimes seem overwhelming. This is why you should think of marketing as a long-term investment with both immediate and lasting benefits. Marketing has always been an investment with proven returns. Just ask many of our clients. However, I have always believed that if you’re looking at a cash based return on investment (ROI) as the only basis to determine if your marketing efforts are working, then you are missing out on all the other bundled benefits, as recently alluded to by an article on Forbes. Effective marketing can increase referrals, retain customers, and just keep your brand relevant in the mind of the public. Some of these returns, such as emotion connection to a brand or the how and why of social media engagement, are hard to measure, but these relationships also indirectly lead to growth in your bottom-line. Every business is different and has it's own specific needs and metrics to go by. This is why we measure inbound marketing and SEO efforts as closely as possible and provide clients with relavant analytics and visual results. Not only that, we also give you ways to encourage a culture of best practices and referrals. If you haven't thought of all these things before, maybe you're not maximizing your full, brand potential. Even small operations, on a modest budget, can and will benefit from the power of marketing. All this and a lot more is why creative, intelligent, results in marketing is so important to your success. Pieces of scattered advertising that you have spent money on in the past just can't work the way they are supposed to today. All advertising needs a well-calculated and creative plan to unite your brand name and achieve optimum success. As an entrepreneur, you have to be super smart about the dollars you spend. With easy access to today's digital environment with its massive amounts of information, consumers are very smart too. They are looking for something more than just a colorful ad or loud commercial when they consider where to spend their hard-earned money. The competition is relentless. The competition is current, now. The competition has a visually compelling, content rich, professional marketing plan. Without this same level of professionalism, you are not getting all you can out of every advertising dollar and you are probably losing potentially loyal customers every day. With national clients in more than 16 cities all over the United States, Ultragraphic is built to help you reach maximum, targeted, and effective exposure. If you are ready to set reachable, measurable, marketing goals for your business, or if you just want to improve the quality of your brand and it's visibility in any way, then we want to work with you and your company. Please contact Ultragraphic today for a free consultation.